Offering guided whitewater rafting trips, canoe and kayak rentals, and more year-round services! 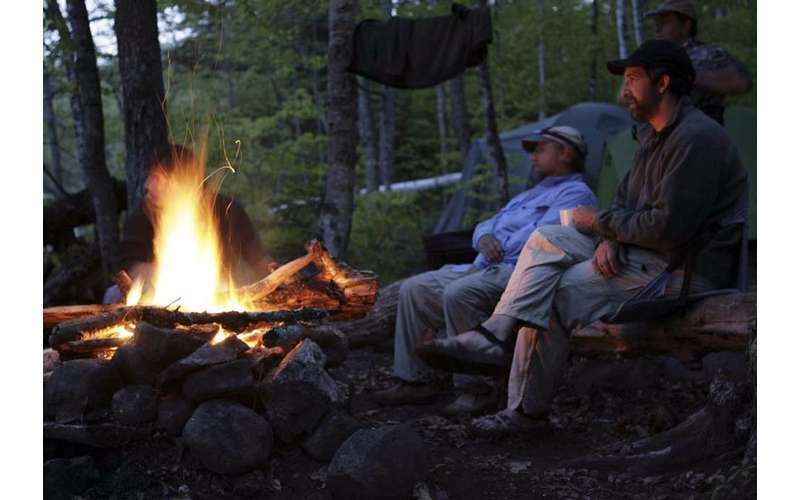 Ready for an outdoor adventure in the Adirondacks? Beaver Brook Outfitters offers a wide range of services at their four bases, including guided whitewater rafting trips, canoe and kayak rentals, and a winter sports rental shop. If you're looking to explore the great outdoors and see everything the Adirondack Park has to offer, then plan a trip with Beaver Brook Outfitters! They specialize in all kinds of outdoor activities and are prepared to help you have the time of your life! Beaver Brook's Primary Summer Base in North Creek is your destination for guided whitewater rafting trips, guided canoe trips, rentals, and more. Whitewater Rafting - Whitewater rafting is one of the most exciting activities you can do on the water. Depending on your skill level and interests, you can book a Hudson River Day Trip or plan out a multi-day whitewater rafting adventure. Canoe Trips & Rentals - From their North Creek base, you can book a fully-guided canoe trip ranging from one-day paddles to week-long adventures. Or, if you want to go on your own private trip, just rent one of the canoes or kayaks instead. Fishing & Caving Trips - Guided fly fishing trips and caving trips are available as well. For both, you'll be well informed about the trip before you go! Looking for even more thrills in the Adirondacks? Visit the company at their Sacandaga River Base for family-friendly whitewater rafting trips. With a minimum age of 5, almost everyone can enjoy these trips on the river. All necessary gear will be provided, and you will be accompanied by one of their guides. In Thurman, NY, Beaver Brook leases land right on the Hudson River where you can go for a canoe, kayak, or lazy river tubing trip. Canoeing & Kayaking - Their private launch site allows paddlers head out on a self-guided trip along a scenic stretch of the river. Once you've chosen your time, you can show up and take off with your group. The trip goes from the launch site to Stony Creek Ranch Resort where the company will shuttle you back to their Thurman office. River Tubing - Similar to the self-guided canoe and kayak trips but with even less effort, you can go lazy river tubing on the Hudson River. This 2.5-mile tubing trip is a relaxing way to spend a few hours on the water, and once you reach the end, Beaver Brook will shuttle you back. When winter arrives, the Adirondack Park becomes a prime location for skiing, snowboarding, and snowshoeing. Lucky for you, if you don't own equipment but still want to enjoy the snow, just visit Beaver Brook's Winter Shop in Wevertown. They have one of the best maintained rental fleets of skis, snowboards, and snowshoes in the region. You can easily reserve your equipment online, stop by for pickup, and then head out to a local trail! Visit their website and book your trip now!